My "friend" Austin the Actor says I look like a ridiculous Eighties-era-Saved-By-The-Bell-wannabe, and I should cut my hair immediately... but I'm not gonna. In fact, I am not only going to spend the entire summer break growing as much hair as I possibly can from the top of my head, for the first time in my life I am also going to allow my (patchy, unsubstantial) facial hair to grow as it will. Why, you ask, would I do this? Simple. So that anyone who might otherwise have been tempted to invite me to some sort of social event will be forced to reconsider, and I won't be put in the awkward position of having to decide between writing and interacting with humans. The summer is for writing. Exams finish this Friday, and then it's go-time. 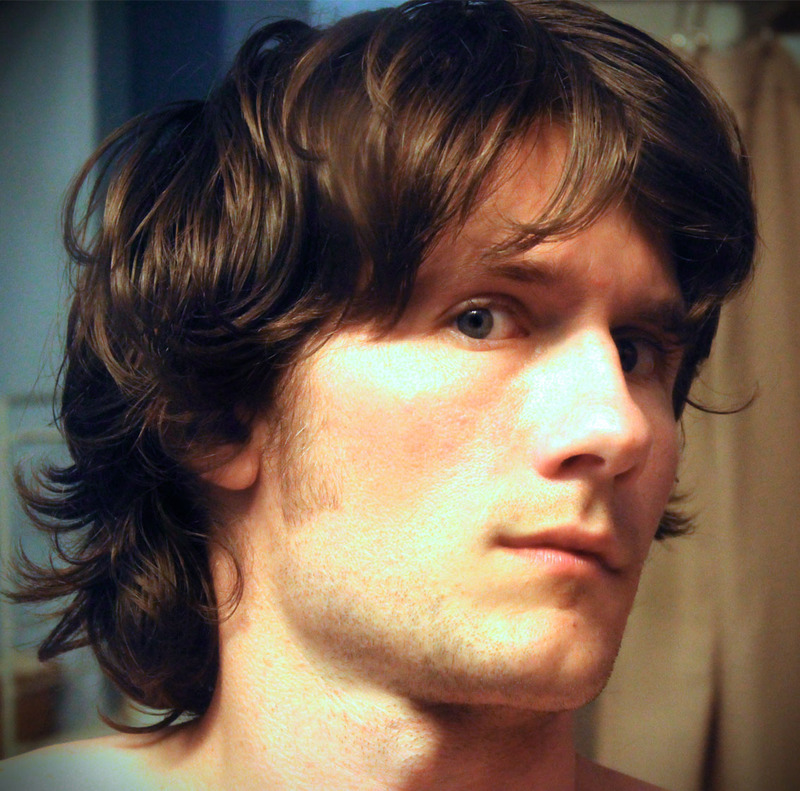 Expect periodic hair updates. If I come to visit this summer... you will be spending time with me, not just writing. OK? As long as you don't mind hanging out with a guy who looks like he lives in a cinder-block shed in the woods, then yeah... I think I can squeeze you in. Shanks. I grew it myself.